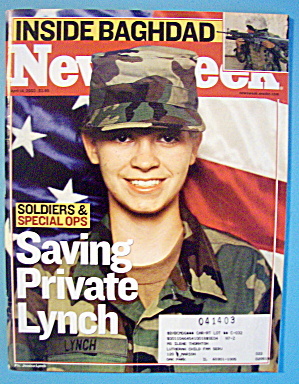 This Vintage April 14, 2003 Newsweek Magazine is complete and in very good condition with slight wear & slightly yellowed pages. This magazine measures approx. 8" X 10 3/4" and is suitable for framing. The front cover features Soldiers and Special Ops. Full of news stories of the day and nice vintage ads.